UPDATED: Thu., Nov. 8, 2018, 10:45 p.m. The lawsuit, which seeks class-action status for all California citizens, was filed in Alameda County by a U.S. citizen, Rocmo Cordova, who said she was traveling from San Diego to Phoenix in November 2017 when the Greyhound bus she was riding pulled over on a highwayt o allow U.S. Customs and Border Protection officers to interrogate passengers. Cordova accused the nation’s largest motor coach operator of violating state consumer protection laws against unfair and unlawful business practices by allegedly consenting to racial profiling by law enforcement despite promises not to discriminate based on race, skin color, national origin or language. Cordova said she also suffered economic injury from delays, and the suit seeks a court order barring the alleged practice. The suit comes as civil rights groups, labor unions and Democratic lawmakers have stepped up a campaign against U.S. travel and transportation companies this year, urging them to stop tactics that they say are not new, but that federal customs officials say has been on the rise under the Trump administration. Earlier this week, Motel 6, agreed to pay up to $8.9 million to settle a federal class-action lawsuit alleging that employees in two Phoenix locations provided the personal information of several Latino guests to federal immigration officials without a warrant, leading to their detainment. That lawsuit, filed in January, asserted the motels invaded guests’ privacy and discriminated against them on the basis of race and national origin. 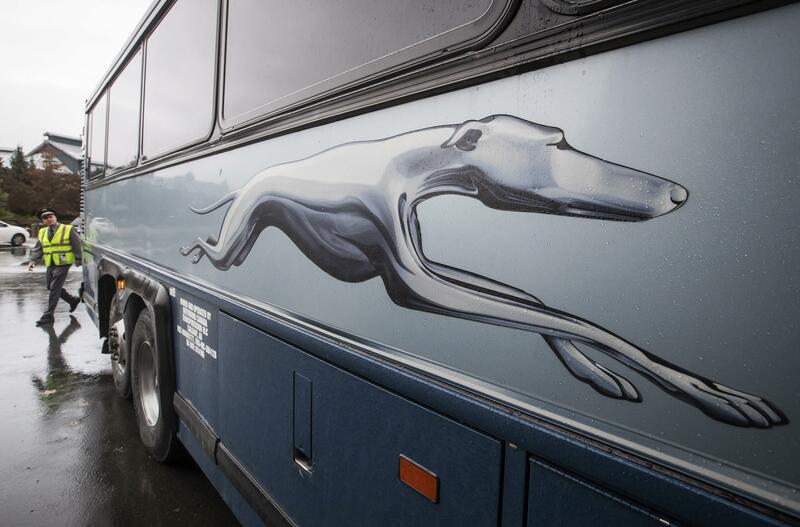 In addition to targeting Greyhound, whose 1,600 vehicles move 17 million passengers a year across the United States, Canada and Mexico, critics of such tactics have also raised objections to Amtrak and other bus companies. “Greyhound’s policy of voluntarily opening its bus doors to law enforcement officers to intimidate customers based on the color of their skin is not just offensive; it is unlawful. It needs to stop now,” said Darren Robbins, founder of Robbins Geller Rudman & Dowd, a San Diego law firm that specializes in class-action lawsuits and is representing the woman. The Border Patrol said its practice of targeting bus stations and other transportation hubs for human and drug trafficking is decades old, although its frequency and intensity have increased in response to rising threats. Border agents have broad authority to question people within 100 miles of the U.S. border, where more than half the U.S. population live. Critics of the stops say Greyhound also has a history of upholding its customers civil rights, serving most famously as the vehicle for the “Freedom Riders” demonstrators in 1961 who rode the line to protest transit segregation in the South. Since March, the ACLU and 10 of its local affiliates, 23 Democratic lawmakers and the Amalgamated Transit Union Local 1700 – which represents 3,500 Greyhound drivers, mechanics and terminal workers – have sent letters and a 200,000-signature petition to Greyhound urging the bus line “to stand up for passengers” and require federal border officers who want to board to show probable cause or a warrant as a protection against an unconstitutional search and seizure. The ACLU said it has documented CBP boardings of buses in Vermont, California, Washington, Arizona, and Michigan where agents tend to focused on people of color or nonnative English speakers and state no other reason for boarding and questioning passengers. The consumer information publisher Consumer Affairs has reported passengers receive little or no notice that they could be asked to reveal the contents of their luggage or show proof of citizenship, that stops could occur at random or cause passengers to miss connections. The complaint by Cordova said federal immigration officers target Greyhound because its riders are disproportionately nonwhite and low-income, particularly Latino. The suit was filed by Robbins and firm attorney Rachel Jensen, a lead attorney in litigation that resulted in a $25 million settlement for students who alleged fraud by Trump’s defunct real estate seminar program, Trump University. Trump did not admit fault in the settlement. Searches subject passengers to humiliation, discrimination and up to half-hour delays, and extend beyond 100 miles into the interior of the country, the suit alleged. Lawyers for Cordova said the bus was stopped on a highway in California after daybreak en route to Phoenix. Published: Nov. 8, 2018, 4:34 p.m. Updated: Nov. 8, 2018, 10:45 p.m.